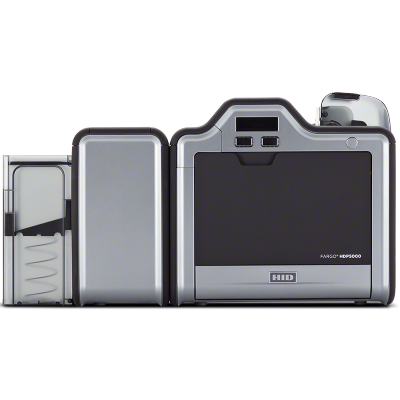 Get vibrant, High Definition cards from the reliable, affordable FARGO® HDP5000. High Definition Printing gives you superior print quality, even on smart cards with embedded electronics, for a more impressive public image. We back the HDP5000 ID card printerand encoder with a lifetime printhead warranty and three-year warranty on everything else. *Note- video preview and product pictures are for informational purposes only. Actual printer may be different depending on chosen options and upgrades. To maximize card quality and your Fargo printer's life expectancy and durability, use only genuine Fargo ribbons.